It’s a weekday night. You come home from work, tired and hangry. You open the fridge and the tears well up. You wonder why you didn’t study something useful in college that would have led to a lucrative career and a private chef. You wonder why you didn’t marry that person before their start up took off and they became a millionaire. You wonder what that fuzzy stuff in the tupperware on the bottom shelf could be. Pull yourself together, and click over to GrubHub.com. I got you, boo. Actually – GrubHub’s got you. 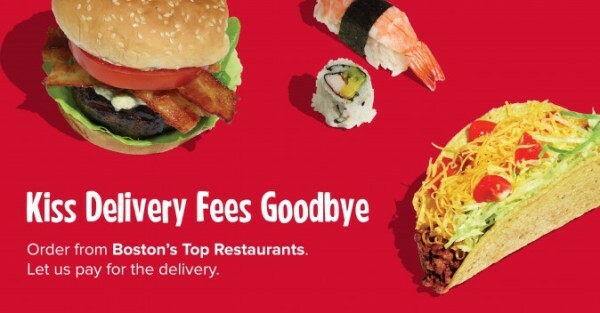 Delivery is now FREE from more than 70 restaurants in the Boston area. 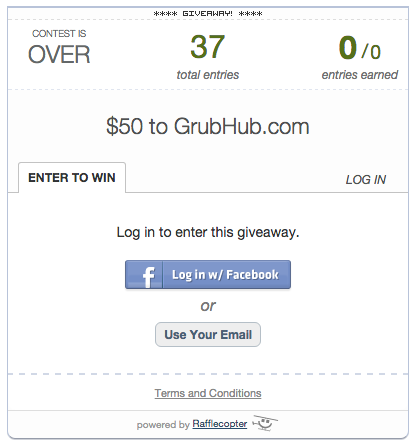 Use the Rafflecopter to enter and a random winner will be chosen next Friday! This giveaway has ended. Check back in the near future for new giveaways.